I kill houseplants. Ferns, aloe, ficus, cactus, succulent have all sacrificed themselves and gone to their deaths to avoid my plant-motherhood. I actually gave up on an orchid one time and flung it into someone’s side yard, only to have it be gorgeous and blooming just a few months later. My friend LeAnn Siefferman, professional ceramist and successful gardener, told me she’d teach me but I’m stalling. I’ve tried. I really have. Hi, I’m Jenny, and I kill houseplants. I’ve noticed that in the past year or so that something has happened to Orlando and the rest of America that has me wanting to try plant fostering again. My friends have all become plant parents; embracing the tiniest of cacti to the largest of fiddle leaf figs or tastiest fiddle fern. (Those are edible, btw.) They have dedicated themselves to keeping these small green beings alive. Beings? The blog, Plants are the Strangest People, seems to think so and gives names like Tyler and Jayvvon to Anthuriums. I know you came her for a list, so let me get on with it. Porch Therapy is one of the best resources for not just houseplants or succulents or gardening, but landscaping too. If you’re thinking backyard oasis, get with these people. You can also pick up home goods and containers and gardening accessories here. Located at East End Market and The Heavy. Land of Alice Studio is available to ship you plants. That’s right, you can order plants by mail if you’re not able to get out to the shops. How convenient is that? Since very few people are doing it, she’s ahead of the trend. Go ahead, you know you want to. Palmer’s Feed Store where you can buy flats of peeps (baby chicks), a telephone pole, or vegetable plants and seeds. I’m just going to wait here while you click through to look at the picture menu. Scroll to ‘Pest Control’…impactful, right? I want that kind of pest control. 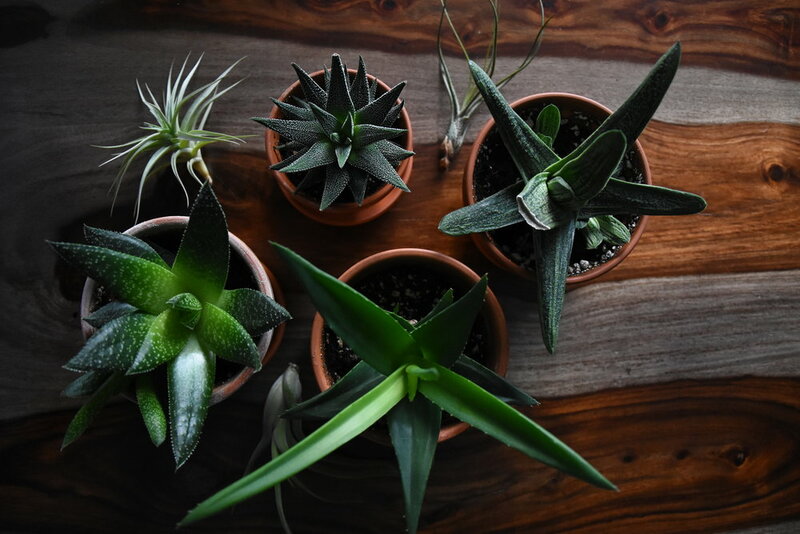 They can tell you what’s safest to use around pets and best for your houseplants and gardens. It’s Florida, y’all, nature is b-r-u-t-a-l here. The Nook on Robinson is kind of a wild card entry but they have plants and amazing concrete containers provided by Till Plant Co. Go there and grab a kombucha and a new lil green friend if you’re far from the trailer location of Till. Florida Cactus Inc. is up in Apopka which is a teeny bit of a drive from Orlando. Maybe 40 minutes-ish. But SO worth the drive. Their greenhouses have zero competition around here. The colors and selection will blow your mind. So if it’s a cactus you want, it’s a cactus you’ll get. Hello Happy Plants is online and I want to think that she’s here in Orlando, so I just will. Best planters with messages that stick. Put on sunglasses and head to this website, unless you’re colorblind, and then just go ahead and click through. Orlando Pottery Studio is last but not least. The fact that you can actually learn to make and fire your own ceramics here in Orlando and that the place has been around for ages. After advancing to doing your own home ceramic work, check out Orlando artist Richard Munster’s kiln. The Sill is not in Orlando per se. It’s plants by mail. Gorgeously done with lots of resources. It’s the anti-Amazon of plant shopping online. They trademarked Plant Parenthood, I mean, can I even type that without paying them? Follow them on Insta with #PlantsMakePeopleHappy, also registered. Instagram can’t be the only reason why people are suddenly becoming plant people. Plants are actually really cool. It’s what you can learn to take care of successfully before navigating a new relationship or getting a pet, or have a baby. Maybe it’s that they provide oxygen, and wellness is big business right now. So are plants though. Since 2016, plant sales have actually increased 50% to 1.7 billion dollars according to the National Gardening Association. Fun fact, most of the growers are here in Florida but few of them sell online. Plant and garden stores themselves don’t have online shops available since they’re afraid of plants not arriving the way they were expected to. (If you’re looking to start a new business, this one is ripe for picking. Get it? So bad.) The article cited only underlines the fact that we can grow year round here. Our greenhouses are packed and lovely while the rest of the country suffers through something called seasons. The idea of gardening and growing your own food is just one leap further. Not such a big a leap from contributing your front yard to Fleet Farming to buying a little piece of land. Lake County is just next door and has a few farms available. You could be like the Pasture Brothers and start raising your own chickens. Did you hear that Ikea is teaming up with designer Tom Dixon to come out with a new gardening tool line? The hope is that it will inspire urbanites to grow more food at home and in their communities. My dream has always been to be a goat farmer, but before jumping onto that path maybe I should start with something smaller. I could start with a succulent for my windowsill. I could…if I didn’t kill houseplants.